Are you on the fence about learning Portuguese? Learning Portuguese does take a lot of work, but there are a lot of benefits to being able to speak Portuguese as well. Yes, you can live in Portugal (particularly the Algarve and Lisbon) and never learn to say anything other than obrigado, but what’s the point of living in Portugal if you’re going to live in an English-speaking bubble? If you want to properly settle in Portugal and if you want to make friends here, you really should learn to speak Portuguese. Portugal is a great place to live and, if you don’t already live here, it’s definitely worth considering moving here. This blog might be biased, sure, but I’m not the only one saying that: thanks to its fantastic weather, low cost of living, laid-back lifestyle, and great food, Portugal is attracting people from all walks of life including retirees, expats, entrepreneurs, tech specialists, and digital nomads. 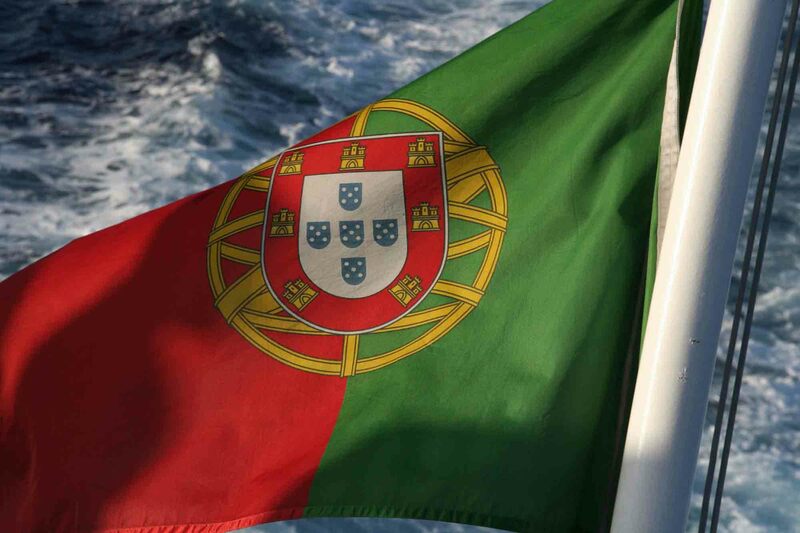 Portugal is normally listed as the 6th most-spoken language in the world. Not only is it spoken in Portugal, but also in Angola, Brazil, Cape Verde, East Timor, Equatorial Guinea, Goa (India), Guinea-Bissau, Macau (China), Mozambique, and São Tomé and Príncipe. Many of these countries, particularly Brazil and Goa, regularly feature on travel bucket lists and being able to speak even a little Portuguese will not only make travelling in those countries easier, but it’ll enrich your experience there as well. Learning Portuguese properly not only opens up new travel opportunities to places like Brazil but also within Portugal itself. Although English is widely spoken in places like Lisbon, Porto, and the Algarve, it isn’t as widely spoken everywhere in Portugal. Learning a little Portuguese will make it much easier to get off the beaten path a little, and to venture into the less touristic parts of the country. One of the reasons that Portuguese isn’t widely taught is that, in the past, it wasn’t always considered to be a very valuable language to know – or not as valuable as being able to speak other languages like German or French anyway. That’s all changing as Portugal grows in popularity as a tourism destination, more and more tech startups move their businesses here, and it becomes a more important economy within Europe. Brazil meanwhile has become one of the world’s largest economies while in Africa, countries like Angola and Mozambique are some of the most attractive markets for global businesses and investors. The Portuguese passport is one of the top-ranked passports worldwide, and ranks alongside passports from countries like the Japan, Belgium, Ireland, Switzerland, and Canada. Not only does it allow you to live, work, and travel in Portugal, but also across the EU and Switzerland (around 30 countries) as well as offering visa-free entry (or visa on arrival) into a number of countries like Japan, Argentina, and South Africa. As well as living in Portugal for 5 years, you will need to be able to speak at least an A2 level of Portuguese if you want to become a Portuguese citizen. This is the second level in the Common European Framework of Reference for Languages (CEFR or CEFL) and classed as “Waystage or elementary”. This is actually a very achievable level of Portuguese to acquire and a much easier requirement than many other countries have. Germany and France, in comparison, both require you to get to B1 level which would involve a lot more studying. Despite the number of Portuguese speakers that there are in the world, and despite the fact that Portuguese is associated with a number of rapidly growing economies, very few people actively decide to learn Portuguese. This means that as more and more Portuguese-speaking jobs become available, there will be less competition for those roles. One of the reasons for less competition is that it’s a lot harder to learn Portuguese than it is to learn Spanish, French, Italian, German, Chinese, or Arabic. The language itself isn’t necessarily harder, but it’s harder to find Portuguese classes as well as books and online resources. That’s not necessarily a bad thing, though. Although you’ll wish there were more courses and resources, it does mean that less people will stick with Portuguese. And, being honest, it’s not that difficult to find ways to learn Portuguese. There are free Portuguese resources out there, a lot of major cities will have language classes or Portuguese speakers that you can connect with, and you could take some time off to spend a few weeks in Portugal at an intensive language course. Failing all of that, some Portuguese language schools, like Lusa Language School in Lisbon, offer online classes that allow you to study Portuguese from anywhere in the world. As a nation, the Portuguese are fantastic with languages. English is widely spoken, and taught to a high standard in schools, but you’ll also find that many Portuguese speak (or understand) other languages like Spanish, Italian, French, and sometimes even more obscure languages from around the world as well as well. Part of this is a good study ethic, but the other reason is that Portuguese is a great base language. It has a much wider range of sounds than other similar languages like Spanish and Italian, and this is why the Portuguese find it a lot easier to learn those languages than the other way round. In fact, the Portuguese can normally understand Spanish or Italian without really learning them, but the Spanish and Italians have to take classes to understand Portuguese. The benefits of learning Portuguese as a base language doesn’t just apply to languages like Spanish and Italian: the wide range of sounds like help you in plenty of other non-romance languages as well. Aside from improving your job prospects, learning a second language is just a fun thing to do. If you’re trying to decide which language you should learn, why not make it Portuguese? It’s an incredibly beautiful language, and just as beautiful (if not more beautiful) as languages like French or Italian. It’s the language of great writers like Pessoa, Saramago, Luís de Camões, and of Fado music. If you’re looking for a language that you can easily fall in love with, Portuguese is definitely it. Are you thinking of learning Portuguese? What are your own reasons for wanting to learn? Share your thoughts and questions by leaving a comment below. I live in Texas, USA and am planning to move to Portugal about a year from now. Since I plan on being there for a while, it is important for me to learn Portuguese. I am so glad your FB page came up. You’ve done a great job with this and you are providing great information I’ve been looking for, plus more, like needing to know the language in order to get citizenship and why that is such a benefit. I think taking the intensive class at Lusa Language School would be extremely helpful to expand my knowledge of the people, culture and country. I’m trying to learn all I can about Portugal before I get there. Thank you so much! I too am looking to move to Portugal in about a year from now from Indiana and want to learn some Portuguese before hand. It would be great to discuss with you further what language courses and other preparations you are doing. I currently live in Portugal but only have basic Portuguese and would love to be fluent. Can you advise of courses and cost please. Are you looking to study online or with a class/teacher locally? If you’re looking for something local, I’ll need to know where you are to try and advise.